CBC brass, apparently stung by criticism of its plans to pull out of production and focus on digital, mobile media, have taken to lashing out at critics in an unseemly way. The latest example was posted Thursday night on the corporate website, and it is highly revealing. Let me get this straight. According to Chambers, the United States has no need of a strong public broadcaster. Why? Because it has Hollywood. The UK, on the other hand, has what is generally considered to be the world’s best public broadcaster because…why? Because, “That is as it should be.” He offers no further explanation. The actual reason for the distinction is one that anyone who works for any public broadcaster anywhere should know and understand as a condition of employment. And that is that a long time ago, when radio was new, the British decided that the new medium was too valuable a tool for education, entertainment and information to leave exclusively in the hands of commercial interests. And not just the British: most other European nations came to the same conclusion. The Americans made a different choice, deciding to allow for-profit business to monopolize the medium. Where the BBC was funded by a license fee on radio and television sets, American radio and television would be funded by commercial sponsorship—by advertising. The distinction was and is anything but trivial. It has meant that American media have come to exist primarily to serve the interests of advertisers, while the BBC exists exclusively to serve the interests of it audiences—the British pubic. American media tailor their programming to meet the needs of those who pay the bills—advertisers. The BBC tailors its programs to meet the needs of its audiences—the British public. Advertisers have different needs than the public. They need audiences to be as large as possible, and composed of the people with relatively high disposable incomes. Programs are designed to serve that need; to reach those audiences. Niche and minority interests are largely ignored on commercial television for that reason, as are weighty or aesthetically challenging topics. The multi-billion dollar Hollywood juggernaut exists to provide what advertisers want, which is mainly high-margin mediocrity. Here in Canada, Parliament in its wisdom chose to create a hybrid system that has relied on both government subsidies (initially a BBC-style license fee; later a straight Parliamentary appropriation) and revenue from advertising. Since its inception, the CBC has laboured under the burden of serving two incompatible masters—the public and advertisers. That tension has led to a progressive debasement of focus and to a schizophrenic approach to governance and management that is at the root if its current existential crisis. Mr. Chambers, who led the team that came up with the CBC strategic plan just announced, appears to be a major part of that problem. 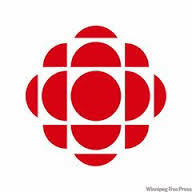 The only viable strategy for the survival of our much–loved, much-criticized, and grievously afflicted CBC is for it to rediscover what it means to be a true public broadcaster, and to follow that path.